White North Carolinians are people identified or identifying as white or primarily Caucasian or of European ancestry in the state of North Carolina. The United States Census Bureau defines white people as those “having origins in any of the original peoples of Europe, the Middle East, or North Africa. 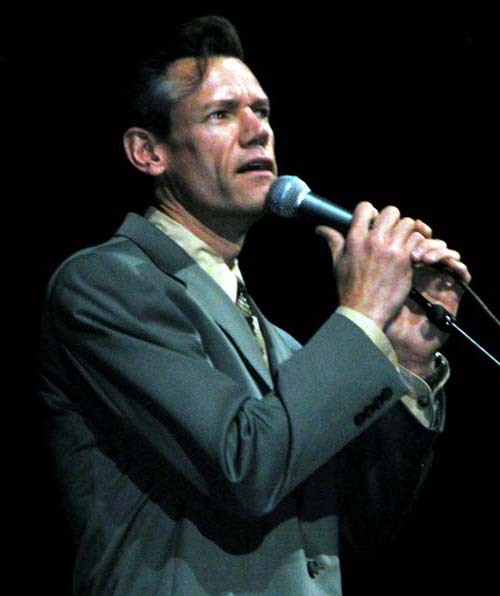 It includes people who reported “White” or wrote in entries such as Irish, German, Italian, Lebanese, Near Easterner, Arab, or Polish.” Country music singer Randy Travis is of Cornish descent from North Carolina. The White – North Carolina population data represent DNA samples from 372 Caucasian (White American) individuals in the state of North Carolina. Samples were provided by the North Carolina State Bureau of Investigations. Photo: Country singer Randy Travis sings his chart-topping song “Three Wooden Crosses,” at the DoD-sponsored salute to Korean War veterans. Source: United States Department of Defense Author: Image by Gerry J. Gilmore Date: July 26, 2003 Location:MCI Center in Washington, D.C.